We see amateurs do it all the time, and even pros on occasion. A few yards off the green, an in-between shot that’s too long for a comfortable chip and not quite close enough to be putted. Most golfers opt for one or the other, resigning themselves to whatever mishit may come. Chip goes flying past the hole, putt comes up short and wide. 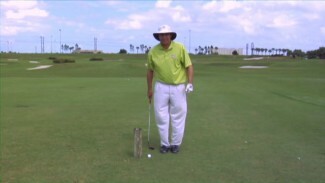 In this scenario, almost 100% of the time, we recommend chipping with a hybrid. 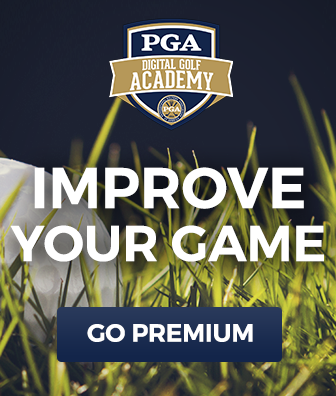 PGA Professional Robert Stocke is going to tell you why. Robert demonstrates what makes a hybrid club the perfect tool for those close quarters chips that require a lot of roll-out. He walks you through the proper technique, giving you the grip and swing suggestions you need to nail the hybrid chip with just a day of practice. 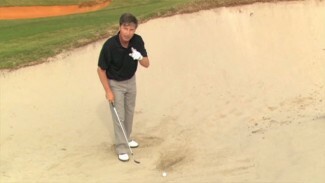 Incorporate the hybrid chip into your range routine of chipping tips and drills, and take advantage of short game tips such as this one, and we guarantee you’ll improve your touch around the greens and shed valuable strokes from your score! 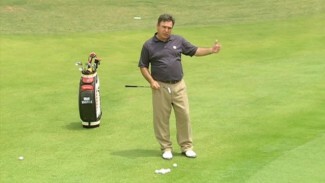 Great tip, and he holed it on the first attempt! I need to use this technique more!